Tau Game Lodge is a luxury lodge situated in the North West Province of South Africa in the famous Madikwe Game Reserve. Spanning over 75,000 hectares of wilderness, The Madikwe Game Reserve offers exceptional game viewing – hosting the Big Five as well as other mammals and famous for sightings of the Wild Dog. 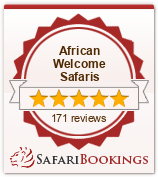 Accommodation is offered in 30 Luxury Thatched Chalets, with African Themed decor. All the chalets are set out on either side of the main lodge, with fantastic views of the animal watering hole from each room. Comfort is key, and each chalet has air-conditioning, ceiling fans, en suite bathrooms, open-air shower and a viewing deck, which is perfect for watching the animals coming down to the watering hole for a drink ! With the option of standard Chalets or the more specious Deluxe Chalets – Tau Game Lodge offers accommodation for all travellers. Tau also offers family suites with inter-leading rooms and a well thought out children’s program, making this incredibly child friendly. Each day will be spent enjoying incredible game viewing in open land rovers, lead by experienced rangers and trackers. Game Drives are conducted in the early morning before breakfast and again in the late afternoon into the evening, assisted with the powerful spotlights allowing you to see the night predators hunting. Bush walks are also offered on request, and well worth the experience of seeing the bush from the ground and being introduced to the flora and fauna of the area. Our extensively trained Spa therapists are specialised in treatments ranging from authentic African treatments to specialised hydrotherapy treatments. Guests can create their own Spa experience with our treatment options or they can choose from specially designed Spa package options and they are encouraged to stay after their treatments to enjoy some peaceful time at our secluded relaxation Sala. Tau Game Lodge offers a comprehensive children’s program, allowing parents some adult time and having the peace of mind that your children will be stimulated and kept entertained by enthusiastic child minders. Children’s Game Drives, face painting, arts and crafts and treasure hunts are all part of the fun. Location of Tau Game Lodge and how to get there ! Self Drive : Being just 4-hours from Johannesburg, it is an easy drive in a hire car to Madikwe Game Reserve.